The Swans District coupled with Swan Districts Football Club are delivering a specialised coaching clinic in the July School Holidays at Steel Blue Oval, Bassendean. 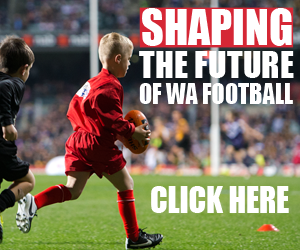 Registrations are NOW OPEN for parents to sign-up their kids aged 3 to 12 to the Swans Super Clinic. 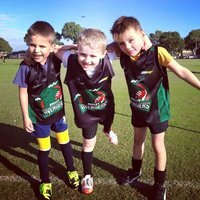 The Swans Super Clinics offer specialist coaching from Swans staff, coaches and players through a series of fun stations. The two day Swans Super Clinic will swoop on Steel Blue Oval on Monday, 6th July and Tuesday, 7th July and promises to provide kids with a school holiday experience they will never forget! 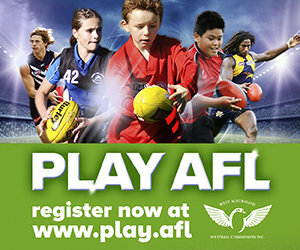 For just $150 kids will receive morning tea and lunch plus a Swans District sling bag valued at $50 decked out in cool Swans District gear including caps, footballs, tees and much more! The Swans Super Clinic will also see special guest appearances by Swan Districts FC and West Coast Eagles players and Sid the Swan! Places are strictly limited so REGISTER NOW to sign-up for the 2015 Swans Super Clinic!